Bean Bag Chairs - What Makes Them So Unique? Home » Chair » Bean Bag Chairs – What Makes Them So Unique? What makes bean bags work? Even though the design is revolutionary, bean bags might appear unsightly at first sight. Over the years however, they’ve signified comfort for generations of people. They’ve become popular because of how smugly they’ve fit into our daily lives and lifestyles. However, the best bean bag chairs are not without style. They fit into a warm room without any problem. And even you might look a bit sloppy when you sit on it, the comfort makes up for it. You can sit there and work for hours without feeling any back pain and strains. 1 Bean Bag Chairs – What Makes Them So Unique? 1.3 What’s the bad part then? 1.6 Why get bean bag chairs? 1.7 How to design your home around a bean bag? Gatti, Paolini, and Teodoro designed the bean bag chair back in 1969 with the polystyrene beads, and it became one of the main parts of Italian Modernism. The comfortable, pear-shaped chair with leather over the beads became all rage. Get to 70s and the leather bean bag chairs were everywhere. The hippie culture in America and Europe adopted it, and it became a huge success. The entire world took the bean bags to be their own. A decade later though, they were falling again. The 80s and 90s were the bad years for the bean bag chairs; they couldn’t measure up to the needs of the consumers anymore. The people that did use bean bag chairs found cheap variants that were more unsafe than anything. Several children were injured. Now, bean bag chairs are back in their forte again. The 2000s and 2010s were the resurgences of the bean bag chairs, with safer variants and more shapes. Now, if you walk into an office, bean bag chairs are in every lounge and relaxing office. They’ve become part and parcel of a lot more people again, which is something they always deserved to be. Polystyrene beads and a shape that adjusts to your body means greater lumbar support. The fact that the polystyrene beads under the leather shells can shape themselves around a variety of postures provides you with great health benefits.. If comfort and health are things that make sense for you, the bean bag chair must be your go-to furniture to fit into your home. The trick is to get yourself into a space in the beanbag chair where your legs and your back are comfortable. This would mean your body is in its natural state and your back muscles, and your shoulders are completely relaxed. What’s the bad part then? If the bean bag chairs do not support your upper back, they’d be worse in the times to come. The older shapeless bean bag chairs used to lack any sort of upper back support, causing major back problems for people who used it for extended hours. Your muscles would pain, and sometimes the posture also created permanent problems. The problems added up over the years, and if you continuously worked on bean bag chairs, you might end up with muscle pain that keeps you up for a long while. However, the bean bag chairs have raised up their stakes and are available in more forms. 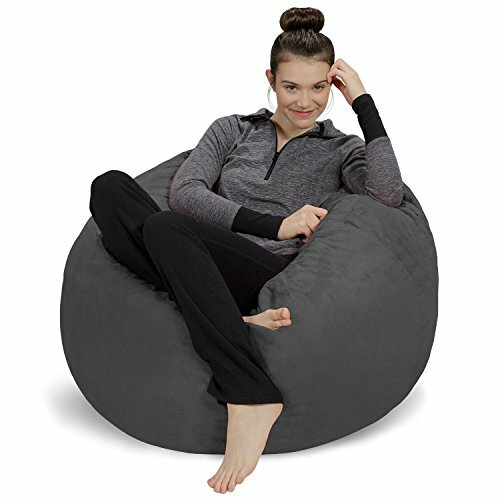 With larger variants of these bean bag chairs, you get whole body support, and you can have some of the best ways to have your work done. A decade or two ago, healthy wasn’t the first thing that came to mind whenever you went into a furniture store. While bean bag chairs were a 70s invention, they became a rage because of their comfort. However, in the age of working through the day, health is a huge factor which you must look into while you go ahead and choose your furniture. It makes sense thus, to choose bean bag chairs which provide superior lumbar and back support and helps you become healthier. While the first impression you might send is of a teenager lounging about, you are also helping your own back. The whole body support system is something that pushes you for more and more. Memory foam is something that shapes itself around your body so if you are looking to make your body comfortable; it is the filling you should go for. Polystyrene is beads that can work around your body in the same way, however, they’re also health hazards if they somehow get into your respiratory tract. The whole strategy of choosing your filling depends on what you want to work with. Memory foam is more firm and is suitable for people who want stable furniture. Polystyrene needs work, but, it’s something you can get used to over time. If you’re working long hours, for example, the fact that you can change your posture to make yourself comfortable makes the polystyrene beads a better choice..
On the other hand, memory foam is better for people who only use the bean bag chair to relax. The holding of posture, the help with the positions helps you make yourself feel better. Why get bean bag chairs? Back support is one of the best things you can priorities while buying furniture. Lumbar support keeps your spine straight, and helps your posture get into a position where your health is better. The back pain will go away with your spine getting better and staying in the proper position. These are the things that help you to go through long hours without getting back pain. It can help you heal from years of back pain too. When your body is comfortable and has support, your body becomes better suited to what your spine needs. The spine health and the overall body posture is necessary to create a healthier body without any problems. Also, correct posture increases not only your life expectancy but, decreases your monthly prescription from the doctor. The comfort from bean bag chairs was the selling point. The original creators were looking to create something that would be comfortable and not look too on-the-nose. The whole body and feet support makes for the most comfortable position that you’ll land up in. A bean bag chair can work through some heavy strains, The memory foam or polystyrene beads make for easy work with durability. The vinyl or leather holds on for longer and will be with for many years to come. You mightn’t think that leather is the best way to save the environment, however, having furniture that doesn’t use wood is a massive help with the environment. Plus, remember the durability? When your furniture stays for longer your money doesn’t go towards causing damage to the environment. How to design your home around a bean bag? Let’s get this straight, without some color coordination; the bright red bean bag chair can’t work. Bean bag chairs make the warmer, more ambient colors pop in your room, but, they can be a mess when you try to put them in with dull colors. The whole concept is to work with Italian modernism and keep your rooms clutter-free. The clutter makes the bean bag chairs look drab against the other furniture. This also means that your furniture needs to be in tip-top shape to compliment your bean bags. You can’t put a leather bean bag chair with wooden chairs in your dining room, because it makes both the furniture stand out and look slovenly. The best way to design your room’s decor is to put your bean bag in the working corner in a room with a sofa and other relaxing stuff. The calmer, softer furniture creates an ambiance that works for you. Another place to use the bean bag chairs? The pool! Bean bag chairs become amazing floating chairs to relax in the pool. Plus, the blue and red combination is a classic that you can get behind. 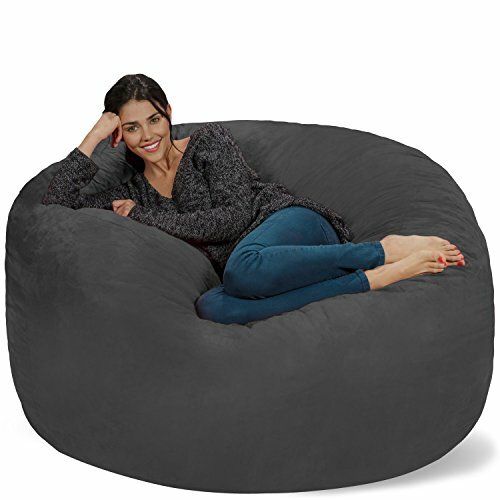 Bean bag chairs are classic chairs dating back decades. However, the bean bag chairs haven’t been shoved down to history. While you’ll find the original “Sacco” bean bag in a museum, they’re also cool things to add to your home and office space. The original bean bags became unpopular because of the unhealthy mass-produced chairs that created problems for the consumers. It is thus, necessary to choose bean bag chairs that are healthier and can support your upper back and maintain your posture. In the 70s, they were marvelous creations; however, now, they’re associated with the lazy boy culture. Don’t forget that bean bags can be great additions to office spaces and home spaces where you work. They’re hip and modern when paired with ambient colors. Add to this the fact that these are environment-friendly and healthy additions and you’ve got a winner on your hands.